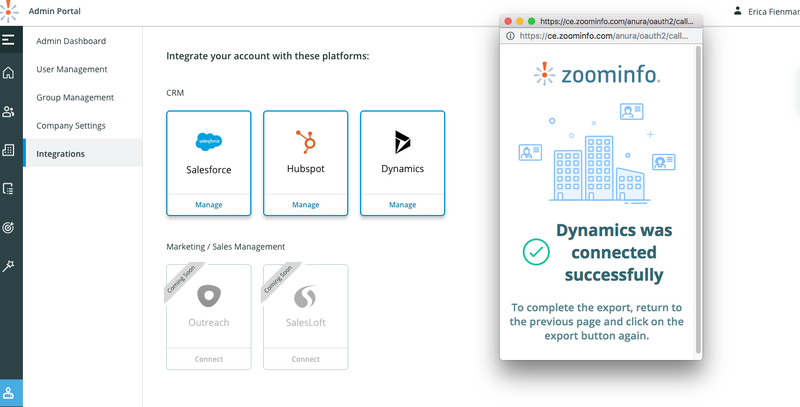 With our Dynamics integration, your team can push lead and account information directly from ZoomInfo Business Edition or ReachOut into your Dynamics CRM to take action on. 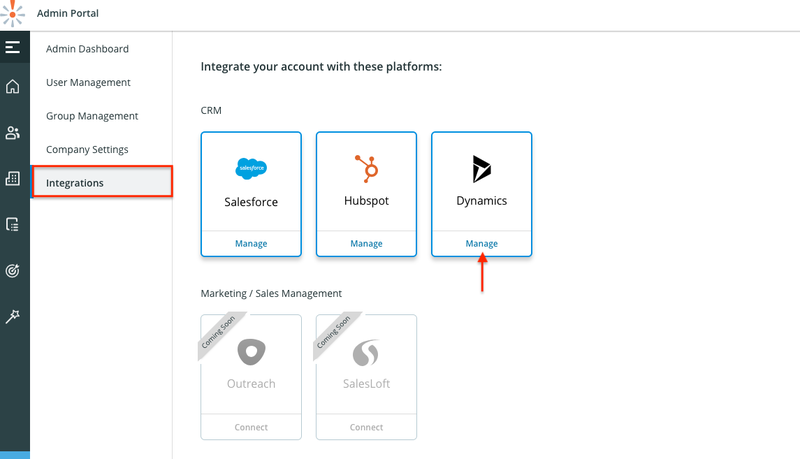 In order for all team members to utilize this integration, the Global Admin must connect and grant access for all users. Click the additional options menu at the top left of the page next to your current app. Note: to complete these steps, make sure you've connected to your Dynamics environment. If you have not done this yet, follow the connection steps above! 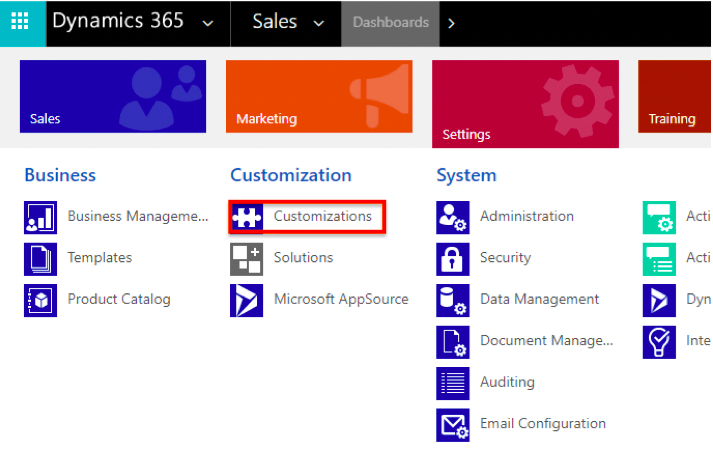 Within Admin Portal: Navigate to the Integrations tab and select 'Manage' under the Dynamics tile. 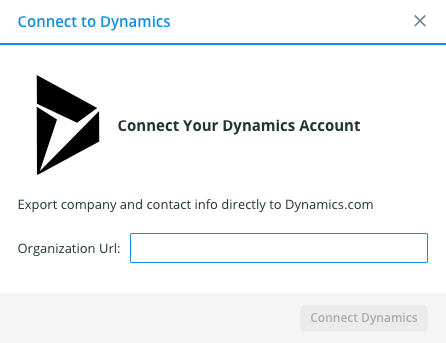 Leads only - Users within your organization can only export leads to Dynamics. 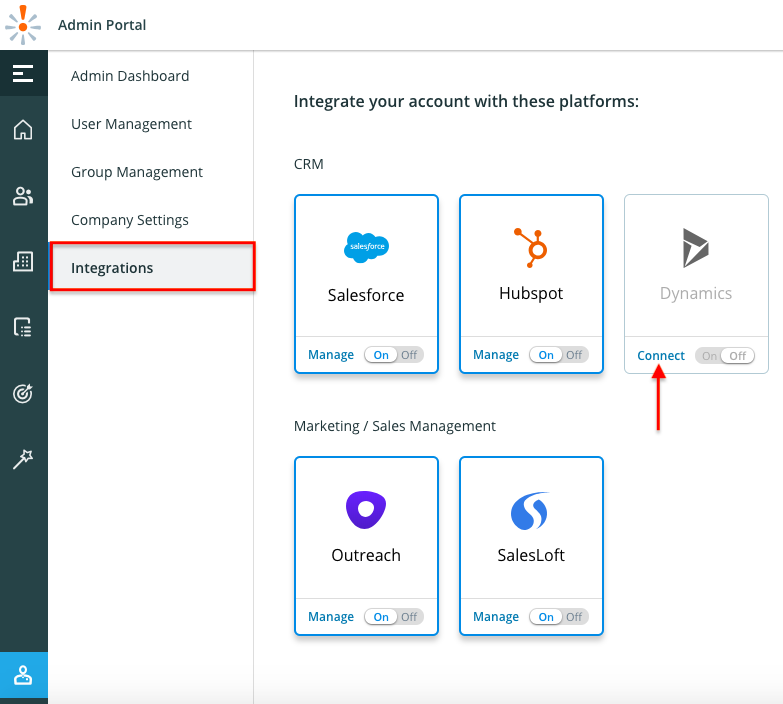 Within Admin Portal: Navigate to the Integrations page and click Manage under the Dynamics tile. 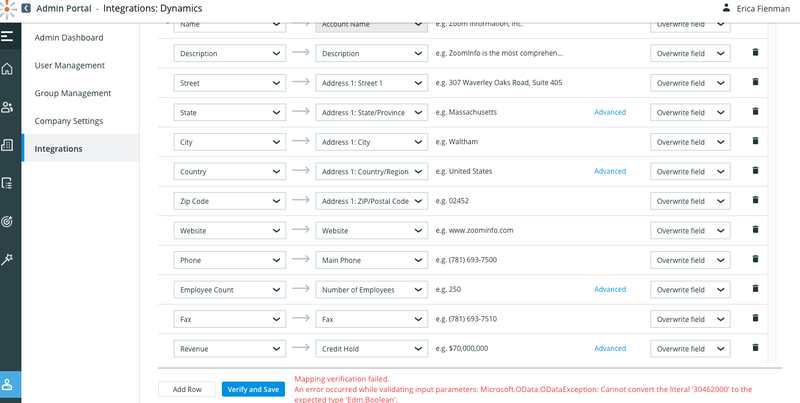 Click on the Mapping tab at the top left. 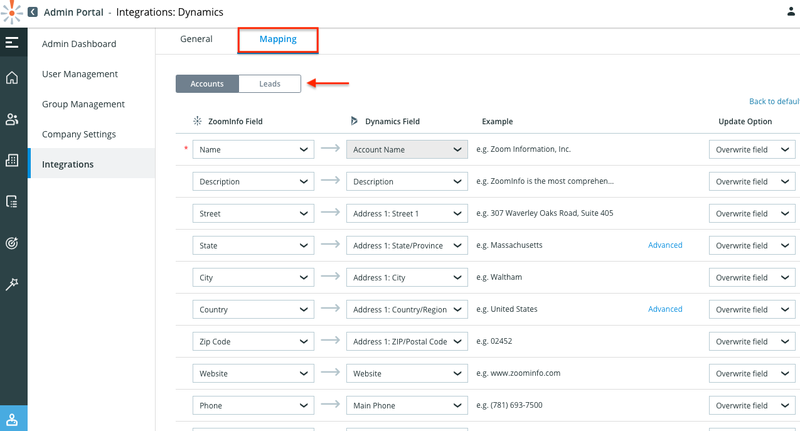 Accounts & Leads must be mapped individually and they can be found directly below the mapping tab. 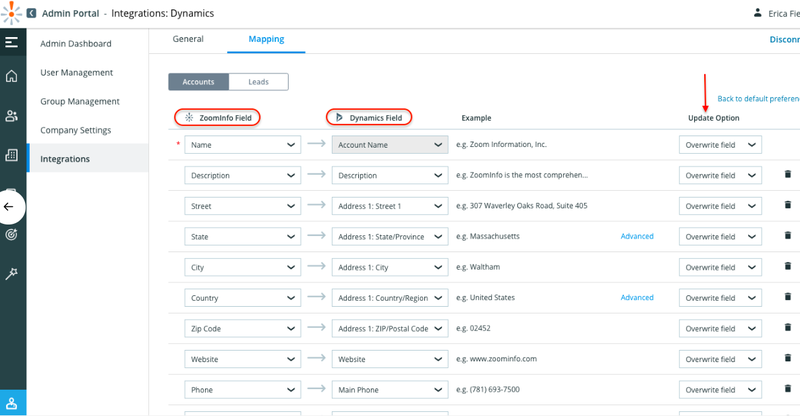 Note: Any required fields within your Dynamics will be marked with a red asterisk. 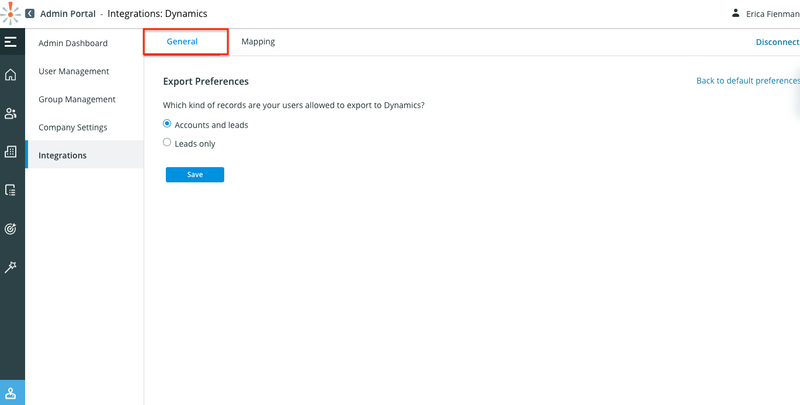 Note: Removing fields means that we will not be sending that data over to Dynamics. 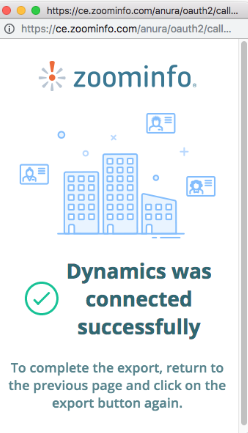 When users are exporting to Dynamics, the Direct Phone will map to the Business Phone, but in the case that a specific contact does not have a Direct Phone then we will send the Company Phone to the Business Phone field. 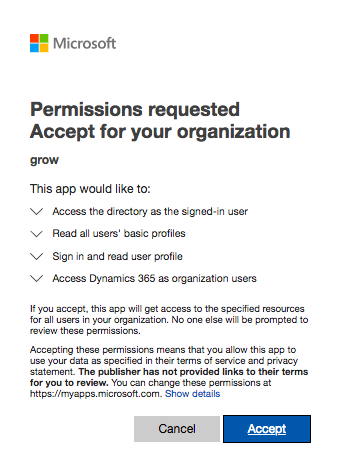 Note: Pop-Up Blockers must be disabled so you can receive the Dynamics pop up to enter your credentials. 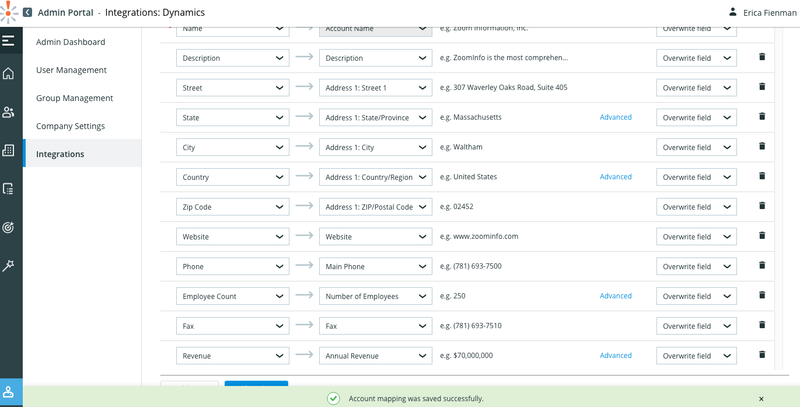 Congratulations, you're now connected and can automate data entry from ZoomInfo to Microsoft Dynamics!